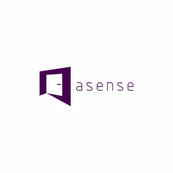 Looking at couple of videos, Asense impressed us with their design ideas and work. Without much hesitation, we locked down to them. Where Asense scored well are the design suggestions, helping us in visualizing the design by creating the 3D design and quality of work. The team also shared their learnings from some of the designs and also helped reduce cost based on our budget. Where we had doubts on some of the design, their experience helped in convincing us that the design will come out well and it was true. Overall, we are more than happy with the output. Great team to work with (Mrinmoy, Snigdha, Saikumar, Shaan) and we would definitely recommend them!! Interior designers, there are a lot of them these days, lot more than what you think there are, around you, choosing one will be a big challenge. After evaluating a dozen of interior guys, finally decided to get my house interior done from Asense Interior. Team Asense had done the interior work of our 2 BHK apartment recently.